This work by K12 Handhelds is licensed under a Creative Commons Attribution 3.0 Unported License. 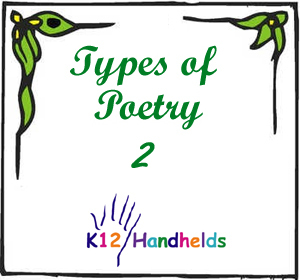 Content summary: This book gives descriptions and examples of a number of types of poems, including alphabet poems, cinquains, diamantes, definition poems, catalog poems, acrostics, limericks, quatrains, haiku, concrete poems, and poems for two voices. Also includes activities for students and a linked glossary. 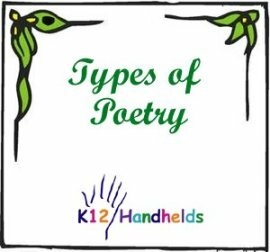 Content summary: This book gives descriptions and examples of a number of types of poems, including ballads, epic poetry, and lyric poetry (elegy, odes, sonnets). Also includes review questions for students and a linked glossary. 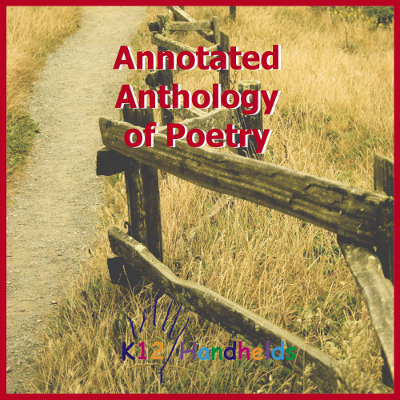 Content summary: This book is an anthology of popular poetry from authors including Robert Frost, Alfred Noyes, Edgar Allan Poe, Emily Dickinson, and others. Also includes questions and activities for students and a linked, illustrated glossary. 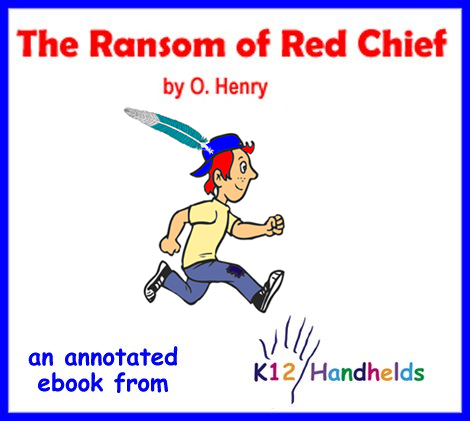 Content summary: This ebook is an annotated version of “The Ransom of Red Chief” by O. Henry. It includes author background, comprehension questions, and a linked, illustrated glossary. 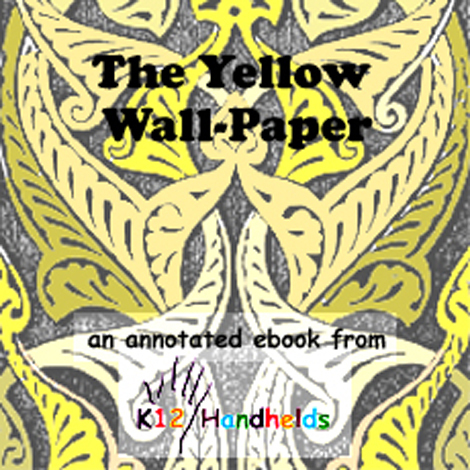 Content summary: This ebook is an annotated version of “The Yellow Wall-paper” by Charlotte Perkins Gilman. It includes author background, comprehension questions, and a linked, illustrated glossary. 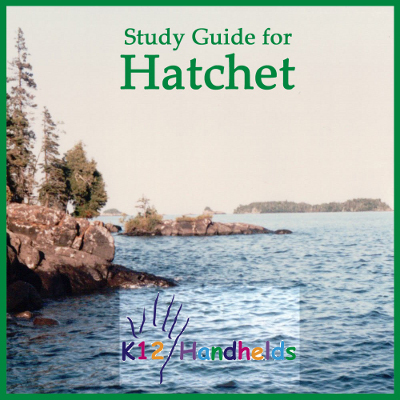 Content summary: A study guide for the novel Hatchet by Gary Paulsen. Includes author information, an introduction, and comprehension questions (multiple choice and essay), glossaries, and vocabulary practice for each chapter. 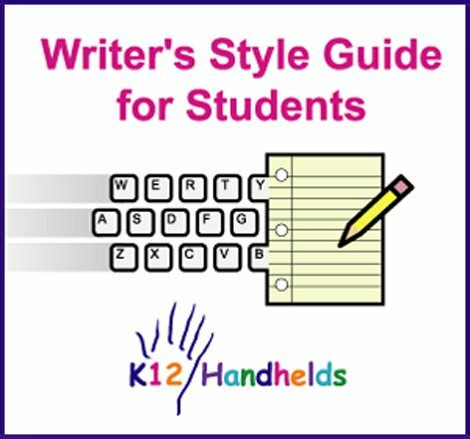 Content summary: This is a comprehensive reference guide for writers of all ages. It includes a grammar guide, punctuation rules, mechanics conventions, commonly misspelled or misused words, and a guide for citing sources. Also included is a guide to the writing process and many useful examples. 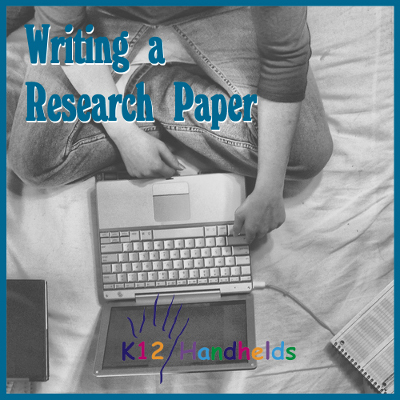 Content summary: This ebook takes students through the process of writing a research paper, including information on choosing a topic, writing a focus question, developing a thesis statement, researching, taking notes, outlining, drafting, revising, editing, and producing a final draft. Also included are examples and a section on citing sources. Content summary: This math ebook includes simple explanations, sample problems, and practice exercises for students. 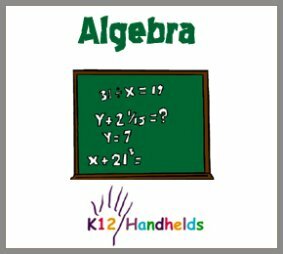 Topics include adding, subtracting, multiplying, and dividing simple equations; two-step equations; adding and subtracting with multiple terms; multiplying and dividing more complex equations; and factoring trinomials using the FOIL method. 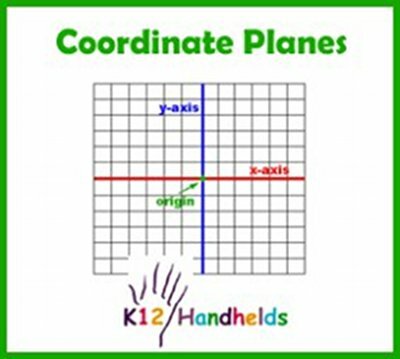 Content summary: This simple math ebook explains basic vocabulary related to coordinate planes (axis, origin, quadrants, ordered pairs) and how to plot points. Content summary: This math ebook includes simple explanations, sample problems, and practice exercises for students. 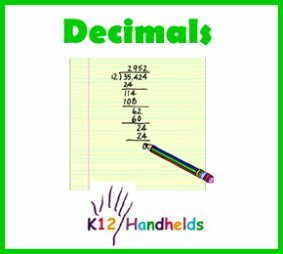 Topics include factors and products, multiplying and dividing decimals, estimating, percents, fractions, and solving word problems. 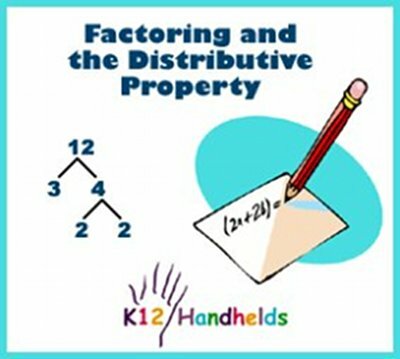 Content summary: This basic math ebook includes descriptions and problems for factoring using the distributive property and finding the greatest common factors (GCF). 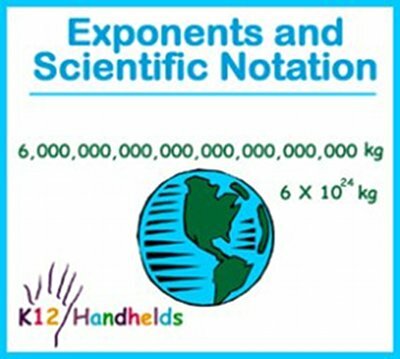 Content summary: This simple math ebook explains and gives examples and problems for exponents, the rules of exponents, and scientific notation. 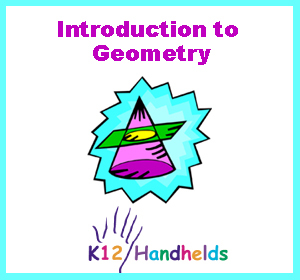 Content summary: This math ebook provides an introduction to geometry by introducing various types of polygons (triangles, quadrilaterals, etc. ), three-dimensional figures (cubes, spheres, etc. ), basic transformations (translations, reflections, rotations), and congruence and similarity. Includes an illustrated glossary. 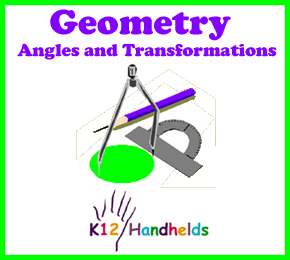 Content summary: This math ebook includes explanations and diagrams for different kinds of angles (right, acute, obtuse, complementary, supplementary, opposite, vertical), explores the relationships of angles formed by a transversal, and looks at transformations (translations, reflections, rotations). Includes problems for students to work and a glossary. 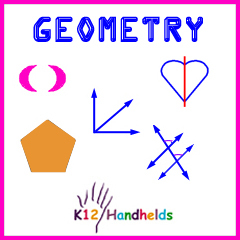 Content summary: This ebook is an illustrated glossary of a variety of terms studied in middle school geometry. 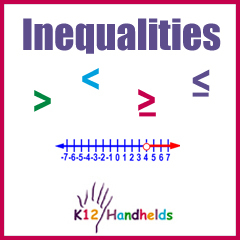 It include exercises for students to demonstrate their understanding. Content summary: This math ebook includes simple explanations, sample problems, and practice exercises for students. 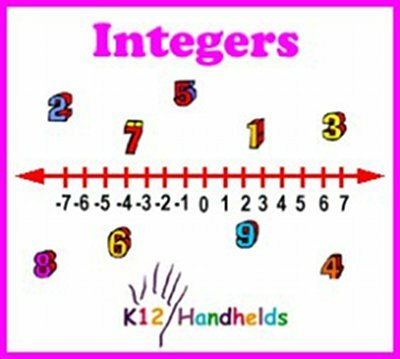 Topics include positive and negative integers, comparing integers, and adding, subtracting, multiplying, and dividing integers. Content summary: This math ebook includes simple explanations, sample problems, and practice exercises for students. 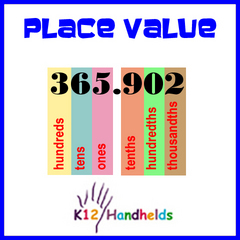 It begins with place value concepts related to whole numbers and then moves on to decimal numbers. 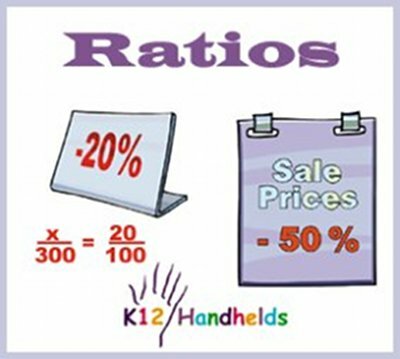 Content summary: This math ebook covers what a ratio is, simplifying ratios, proportions, the rule of proportions, cross multiplication, percents, and solving word problems with ratios. It includes examples and practice problems for students. 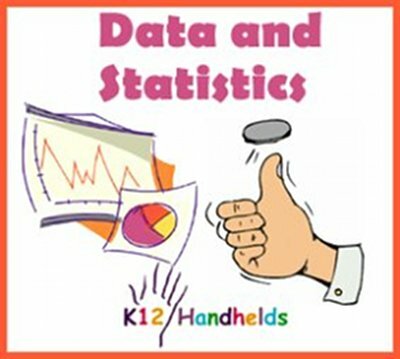 Content summary: This math ebook begins with coverage of gathering and graphing data, including using tally sheets and frequency tables and different types of graphs. It then discusses measures of central tendency (mean, median, mode, range), probability, combinations, and permutations. Includes sample problems, and practice exercises for students. 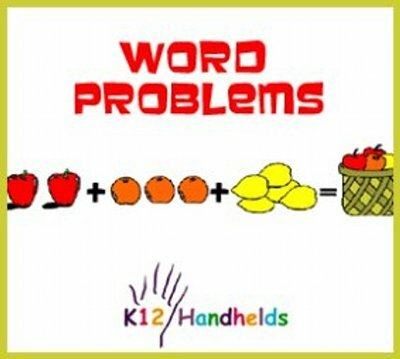 Content summary: This ebook gives practical strategies for solving word problems. It includes sample problems and practice exercises for students. 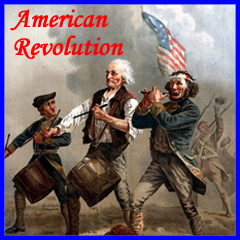 Content summary: Ths ebook covers the causes of the American Revolution, the French and Indian War, important people and dates, and key battles leading to the end of the war. Also includes review questions, a timeline, and an illustrated glossary in English and Spanish. 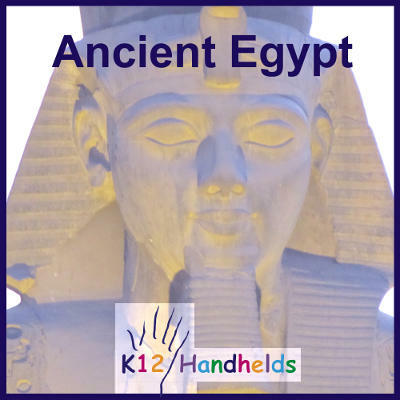 Content summary: This ebook talks about the history of Ancient Egypt, including geography, people and society, education, and religion. Includes colorful pictures, a timeline, and an illustrated glossary. 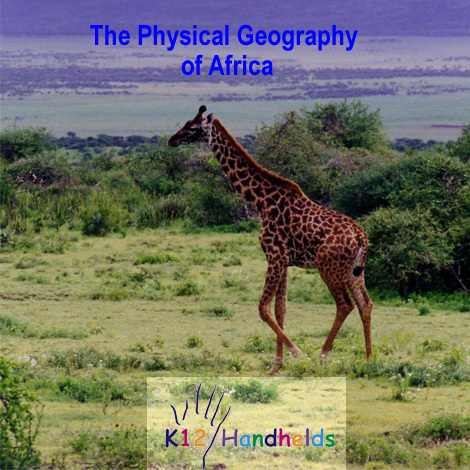 Content summary: This ebook talks about the major regions of Africa, its geography, climate, vegetation, and natural resources. Includes review questions and an illustrated glossary. 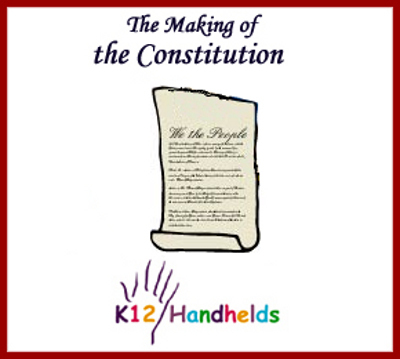 Content summary: This ebook contains the text of the U.S. Constitution with annotations in student-friendly language. 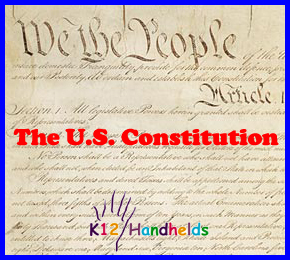 Content summary: This ebooks discusses the history behind the U.S. Constitution, as well as important ideas contained in it and the concept of the Constitution as a living document. Includes review questions, a timeline, and a linked glossary. 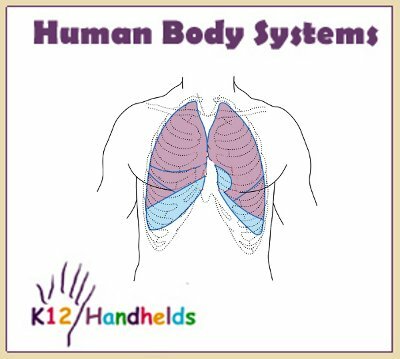 Content summary: A brief explanation of the major systems of the human body, including the respiratory, circulatory, digestive, excretory, and nervous systems. Includes comprehension questions and a linked glossary. 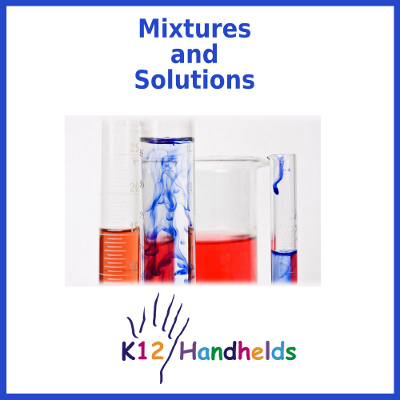 Content summary: This ebook covers the properties of mixtures and solutions and includes review questions and a glossary. 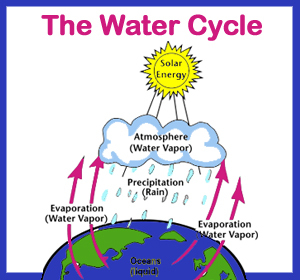 Content summary: This book explains the water cycle and how each stage works with review questions and a glossary. 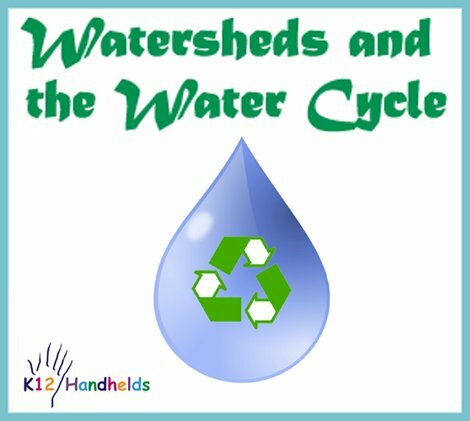 Content summary: This book begins with an explanation of the water cycle and also covers watersheds, water usage, pollution, and conservation. It includes review questions and a glossary.